Most leather boots will need a conditioning treatment straight out of the box before they are worn for the first time. Boot manufacturers will rarely condition the boots prior to packing and, even if they did, the boots are likely going to be sitting in relatively dry circumstances for several months before being purchased, if not longer. After the initial treatment, boots will need to be conditioned every three to six months, though particularly brutal climates may require more frequent conditioning. In our most recent update, we've replaced a few products to ensure that we're showing you the best leather conditioners for 2019. We also rounded off this guide with a new "Bottom Line" section, giving you a general idea of what to look for in the right product. 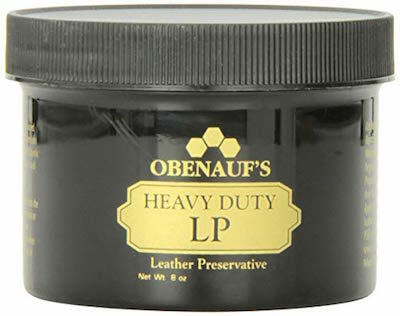 If you’re looking for some heavy-duty protection for your leather boots, especially if these are your work boots, then Obernauf’s Heavy Duty Leather Preservative is the way to go. Made in Idaho, USA, this is a product that will provide your items with the best protection against water, abrasion, chemicals, and even the growth of mildew and mold. Its slow release formula ensures that no part of your leather boots will dry out or crack and that you’re not required to repeat the process too often. Containing natural oils and beeswax and Propolis, this cream will protect your leather boots against water, acids, petroleum, salt, and chemicals. It will also restore the look of your boots if they’ve faded or dried out in the sun, and it will prevent dry rot, as well as mildew and mold growth. This is a product which bypasses harmful ingredients such as petroleum, solvents, and paraffin. Furthermore, it is odorless after application, which means that it can even be used for your hunting boots, seeing that game will not be spooked by it. Unlike our previous two companies, FRYE does not have the benefit of decades behind them. That has not stopped them from gathering a following of users, however. 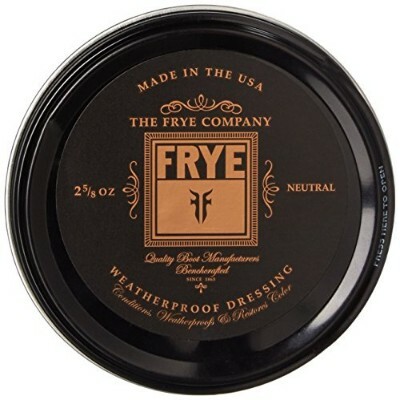 FRYE sells boots as well as leather care products which means they know the business of leather. Their conditioner works in easily, provides some mild weatherproofing, and needs only to sit for fifteen to twenty minutes to take effect. Most leather conditioners have to sit for several hours and some even suggest leaving the boots to soak up the conditioner overnight. These conditioners often do not need to be wiped away and instead soak into the leather entirely. FRYE, however, takes a different approach. Their conditioner sits on the leather to condition and provides light weatherproofing before being wiped away after only fifteen to twenty minutes. FRYE's leather conditioner is incredibly easy to apply, requiring only a soft cloth and the time to rub the cream gently into the leather. It wipes off easily as well, though is rather hard to get out of fabrics. Because of this, it is recommended that sufficient time is taken when using this product to avoid contact with fabric other than the cloth used to apply it. This product is one of the most affordable on the list. However, it may be a case of getting what you pay for, as many reviewers comment on the color change to their leather and frequent needs for reapplication. 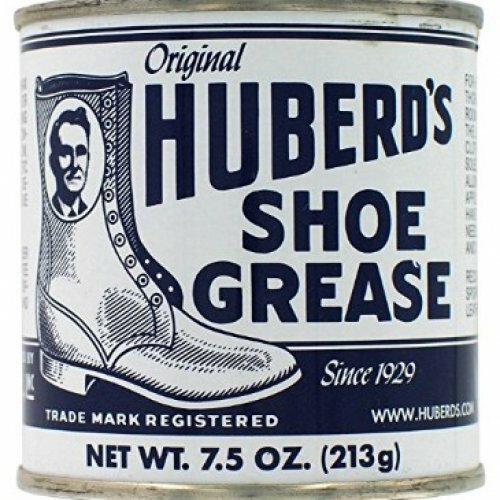 Huberd's Shoe Grease was formulated in 1921 in the state of Oregon. Part of American's Pacific Northwest, Oregon is notoriously rainy and in 1921 there were few to no roads or sidewalks to keep footwear dry, most of which were leather. Mr. Huberd saw a need and filled it, creating a product that would keep leather soft while protecting it against the rough, wet conditions. Despite its name, this product contains no grease and is all natural and contains no animal oils. Most waterproofing products can clog the pores of leather, rendering the material unable to breathe. Despite its name, there is nothing greasy or clogging about Huberd's Shoe Grease. The product waterproofs the leather and still lets it breathe so that the boots remain comfortable for the wearer. Huberd's will also waterproof the stitching of the boot, ensuring that the fibers will not soak up water or dirt and become weakened or discolored. Huberd's is all natural, containing no harsh chemicals that could damage leather or the hands of anyone applying the product. It also contains no animal oils that could turn rancid, giving the can a fairly long shelf life so that the product will last between applications. Some reviews state that the "Grease" is actually beeswax and pine tar, an entirely natural pair of products that will darken leather slightly until the product dries entirely. Bickmore is another company whose formula has been around for decades. The formula has been in use since 1882 and is guaranteed to work on everything from saddles to furniture to car seats to boots. It is wax and silicone free, and the company states that it will not darken leather even temporarily. The product lasts about as long as most, between three and six months between applications, but during that time it promises to clean, condition, and polish all at once. Most leather conditioners darken the leather, though for many of them this effect is only temporary. Bickmore, however, states that their conditioner will not darken leather. Reviews have almost entirely backed this up, with users applying the product to everything from white purses to burgundy couches, and tan leather boots with success. Though this list is primarily focused on leather conditioner that is ideal for leather boots, it is worth noting that Bickmore is effective on nearly any leather product. A few people have even reviewed its effectiveness on leather that came from sources other than cows and found it to be wonderful for their leather care needs. 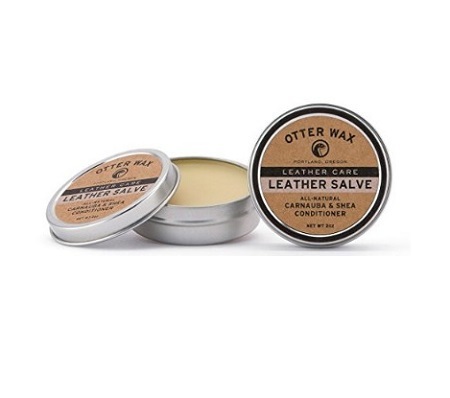 They say good things come in small packages and Otter Wax Leather Salve is a perfect example. Otter Wax uses all natural ingredients and avoids the harsher of these, including petroleum products. The salve is non-toxic and gentle enough to be applied with bare hands, though a soft application cloth is suggested. Otter wax uses a base of shea butter and carnauba, a wax secreted by a variety of Brazilian fan palm. This combination provides a richly moisturizing salve that is safe for human skin and that can easily be worked into leather by a soft cloth or using one's fingers. Not all leather conditioners provide waterproofing, and for some people, waterproofing is not desirable. But for those who want their leather boots waterproofed, Otter Wax may be just the product to get the job done. The waterproofing is not perfect, but reviews have stated that water beads on the leather's surface and rolls off, which can help prevent damage in the long run. As a shoe brand, Dr. Marten's started as a result of the frustrations of a German doctor during WWII. Klaus Martens found that after sustaining an injury while skiing, his standard-issue military boots were incredibly difficult to work with. The improved shoe he developed became an official British style icon and has since become a household name around the world. 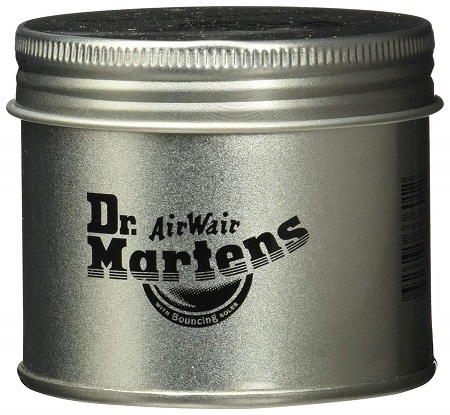 Leather shoes such as Dr. Martern's require extra care, which is why they also released the Wonder Balsam. This proprietary conditioner is made from a blend of coconut oil, beeswax, and lanolin. Lanolin is hydrophobic and is often used in tattoo aftercare for its emollient properties. Coconut oil and beeswax are common moisturizers that are also used in skincare products. All of this together makes the Wonder Balsam a strong leather conditioner with added weather-resistance that won't easily wear off. Some leather conditioners have pigments in them to enhance the color of leather shoes when used. This can be very useful for shoes that have undergone a lot of wear and discoloration, but it can limit the versatility of the product. The Wonder Balsam is colorless, allowing it to be used on almost any shoe without the risk of discoloration while promoting the natural colors of the shoe. Fiebing is another company that has been producing quality leather care products for decades, in this case since 1895. The application is a little more intensive than the previously listed leather conditioners, but that is to be expected as Fiebing's Yellow Saddle Soap is exactly that: a soap. It cleans and softens the leather at the same time, which many will agree is worth a couple of extra steps. This is one of the few multipurpose products on this list. It both cleans and conditions the boots, though it is recommended that obvious excess mud or dirt be removed from the boot prior to applying the saddle soap. Once the soap is wiped away and the boots buffed, the product leaves the leather supple and clean. 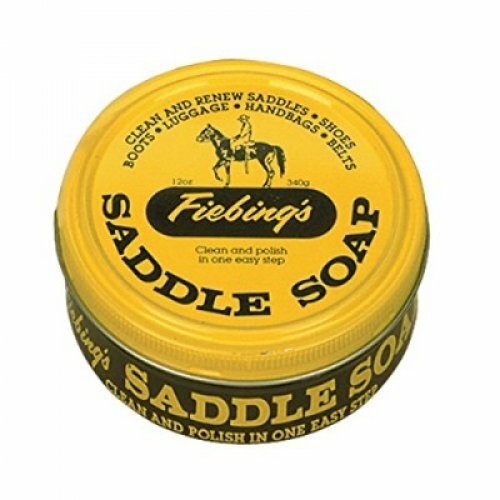 Fiebing's saddle soap is one of the most affordable products on this list, coming in at less than a dollar an ounce for a twelve ounce can. This is a particularly good deal given the dual purpose of the soap. This product has a low cost per volume, which has its appeal. There is no guarantee of all natural ingredients, however, which must be taken into consideration. Mink oil is a byproduct of the fur industry. It is made from rendered mink fat that would otherwise burn or damage the fur during processing. Mink oil has been used in a wide range of products from cosmetics to biofuels, though nowadays it's most commonly used to condition all types of leather products. This mink oil from Sof Sole is great for a wide range of leather goods, especially shoes. Like other oils, mink oil is hydrophobic, meaning it actively resists water. This prevents water from getting inside of the shoe, as well as preventing water-based stains, especially on suede or lighter colored leathers. However this mink oil may darken some leathers, so it's advised to spot test in an inconspicuous area to determine how much the leather could be discolored. Proper care and maintenance for leather goods doesn't have to be difficult. While there is indeed a lot that can go into it, for most people cleaning and conditioning the leather will be more than enough. Some conditioners are thick and occlusive, and waiting for them to dry can feel very similar to watching paint dry. Mink oil has a thinner consistency, so it's both easier to apply and quick-drying, often only taking a few minutes. Chamberlain's is another company that produces their conditioner in a liquid instead of a solid or semi-solid. And though the company is relatively new despite the antique styling on their labels, they are already the preferred leather care company for Saddleback leather goods. That, in and of itself, is a wonderful endorsement. 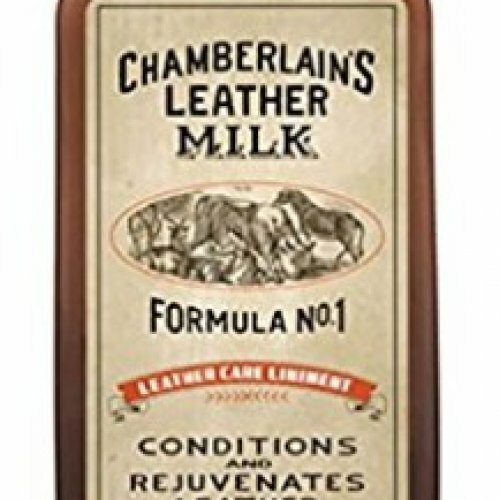 Chamberlain's prides itself on producing all natural and non-toxic leather care products. They caution against harsh chemicals in their product description as such chemicals can damage the leather. The product page also states that the ingredients in this conditioner produce a rich and pleasing scent, which is a claim unique to Chamberlain's. Because Chamberlain's conditioner is a liquid it would be difficult to apply in a controlled manner with one's bare hands. Though it should be safe for direct-to-skin contact, the ease of application would suffer without an applicator. Chamberlain's knows the issues that can arise when an applicator is needed and cut the guesswork out by including an applicator with the purchase of their product. Lexol is a relatively unknown company in the leather care industry but that does not stop them from making quality products. While it is true that their conditioner is intended for auto use, there are some buyers who also enjoy it for their boots, though of course test areas must be used prior to treating an entire boot. This product is an easy to pour liquid that can be applied with any soft rag or towel to the leather in need of conditioning. As it is not suitable for glove leather it is not recommended that Lexol be applied with one's bare hands, through the company has stated that there are no harsh chemicals in their formula. Lexol is one of the most affordable brands on our list, likely due to the fact that it is mostly rated for vehicles than wearable leather goods. That has not stopped some users, however, from expanding the product's uses to include boots and other similar leather goods. Leather is not only a popular product; it is one which has been used for thousands of years thanks to its durability, practical application as well as appearance. Today, leather items come with high price tags and are usually considered staple items in your wardrobe. A good pair of leather boots or shoes will not only look amazing, but it will also last you for a long time while providing comfort through a custom fit, breathable texture and the correct protection from your environment. However, as with any other pair of footwear, your leather boots will need a certain amount of protection themselves. Leather is a natural material and works just like your skin. While your skin receives regular nourishment, leather does not. That’s why it requires moisturization and care which allow it to retain its looks, flexibility, and softness. The best way to ensure this is to condition your leather items regularly, preventing them from becoming too dirty, stained, dry and ultimately from cracking. Despite what many people believe, polishing your boots is not the same as conditioning them. In order to properly provide your leather boots with the nourishment they require, you first need to clean them. Remove the laces and wash them, then leave to dry naturally. Remove any dirt from the soles of your boots with a soft bristle brush, a wet cloth or a toothbrush. Once you’ve done this, prepare some warm water and a soft cloth with which you will remove any surface dirt, dust, and grime which naturally stick to your shoes with wear. Pay particular attention to the sports which easily collect dirt, and use a leather cleaner with spots which are more difficult to get out. Now, it is important to let your shoes thoroughly dry. Put them in a well-ventilated place that is away from direct sunlight, and avoid using a heat source to speed up the process. Instead, you can stuff your boots with tissue paper, which you should change regularly, as soon as it becomes damp. Once your shoes are no longer damp, treat them with one or two coats of leather conditioner – depending on when you conditioned them last. The best way to apply conditioner is to put it on a soft cloth and rub it into the boots, removing any excess conditioner. You can then buff your conditioned boots with a soft bristled brush, apply waterproofing sprays or polishes in order to achieve the level of shine and protection you require. Many people who wear leather do so because they enjoy its grounded nature. Leather is a durable, natural material that has been in use for thousands of years and for most of that was cared for with all natural materials. Given that some of the oldest leather goods are still intact for us to study today, it is not surprising that many people would prefer all natural formulas that have stood the test of time and proven themselves to be effective moisturizers for beloved leather goods. These all natural products are often non-toxic and more gentle on the skin as well, making them safer to use than other alternatives. For this reason, all natural products dominate this list and, indeed, the leather care industry. However, some people may find that a manmade leather conditioner is the better choice. Often, these products come at a lower price tag and can have additional benefits over their natural counterparts. These can include the lack of unpleasant odors, better waterproofing, and the elimination of the risk of discoloration. Whichever of these two options you go with, the most important thing is to determine whether any product is a good choice for your leather boots. It’s possible that different pairs of boots will require a different type of conditioner, which usually depends on leather type, how you intend to wear them, color, age, and condition. Older shoes will require more care than new ones which have been properly cared for since first putting them on. By knowing what it is exactly you need you can save both money and your shoes from unwanted effects. A very important thing to note about leather conditioners is that they may have some side effects. What plays into this is not just the type of leather your boots are made of, but also the way in which said leather had been treated during the production process. Your boots could have been oil-tanned or smooth-finished, and they could have even been dyed. To avoid any unwanted effects, make sure to carefully match your boots with the appropriate leather conditioning product, and to use it according to the instructions. Nonetheless, you should still be prepared for some changes in appearance. Many leather conditioners will darken the leather they’ve been applied to. While for some, this may be temporary, with others it will be a permanent change. Other products, like those made with mink oil, can overly soften certain types of leathers, which may not be the effect you’re looking for. If you used your leather conditioner with your boots and were satisfied with the results, it doesn’t mean that you should apply the same conditioner to your leather sofa, handbag or gloves. Some surfaces, especially those that are touched often with dirty or oily hands, will drink the conditioner up in a different way than expected. You may also find that your boots have lost their shine after conditioning. In this case, you may opt to buff or shine them additionally. These effects were taken into consideration when creating this list to ensure that any product with severe effects on the leather, beyond softening it, were screened out and only the most effective products were listed. Products designed to soften leather take one of two routes. They either use gentle moisturizers or they use chemicals designed to abrade the hide until it achieves the desired softness. The harsher a solution, the worse it is to get on human skin. When using a leather conditioner, or any other product intended for leather care, make sure you follow the application conditions, including those which are related to your own safety. If the instructions call for the use of a brush, cloth or applicator, make sure you don’t get any of the conditioners on your hands. It is also a good idea to make sure you do this process away from any precious clothing or surfaces. Always line your working surface with old newspapers, and try not to wear any fancy clothes during the process, just in case. Some manufacturers call attention to the fact that their products are made with 100% natural ingredients, and that they’re safe for use. Some can even be applied with your bare hands. However, before you start lathering leather conditioner on your boots using just your fingers, consider whether you may be sensitive or even allergic to any of the substances found in the product. Wax is a common base for leather conditioners because it holds oils or tar well and can be easily warmed until it easily spreads on the boots. Most of the wax used is plant or animal derived, as petroleum products are generally avoided by many of the companies listed above. These natural waxes are more gentle on both the leather and the skin of whoever is conditioning the boot. They can, however, be more difficult to spread than their liquid counterparts, at least until the wax warms. It is difficult to term any good leather conditioner as a liquid since the range of ingredients that can condition leather often lead to rather thick mixtures. But any conditioner that is not wax-based can be generally considered a liquid. These have their own sets of pros and cons just as wax does. Liquids may be easier to apply, but they are often not made with all natural ingredients and must be applied with a specific applicator so they avoid continued contact with human skin. The price of a shoe can sometimes be a deal breaker. That’s part of the reason why footwear manufacturers invest time and energy into creating cost-effective technologies to incorporate into their shoes to make them durable, long-lived, versatile, and inexpensive. Products to protect your shoes are no different. We've chosen a few criteria to help us better evaluate the value of the conditioners on our list. We needed to make sure that each leather conditioner was going to protect for shoes for a decent period of time. No one wants to condition shoes constantly. We also needed to make sure that the way you condition your shoes was easy enough that you will actually use the conditioner. Above all, we needed to look at the price to ensure that we weren't recommending anything that was way over the top in price, and that, if on the expensive end, was worth it for the quality of the product. Leather conditioners are wonderfully effective to treat leather and keep it looking luxe and feeling supple. Condition your shoes every 3-6 months to help avoid creases that will crack and damage the leather. Leather conditioner is quite easy to apply with a soft rag or sponge. Simple take a small dab, and spread onto your shoes evenly in a thin coat. Leave your shoes to soak in the conditioner for a couple hours before wiping off any excess. Check the manufacturer's instructions, as many conditioners can be applied without wiping off. There are a lot of things that need to be taken into consideration when it comes to leather care products. Different types of leather will have different needs, and may not respond the same way to a certain product. Application methods should be considered as well; some of the products on our list are a liquid rather than a solid, which will require the use of a separate applicator. We have made it a point to include various kinds of leather conditioners on our list, making it easier to find the right one for your needs. q: Are leather polish and conditioner the same thing? For the most part, leather conditioner and leather polish are not the same things. Many conditioners may actually make leather duller for a time until the wax is wiped away or the moisturizing agents have fully soaked into the leather. Some of the products listed above pull double duty to condition and shine, but those are specialty products rather than the norm for a leather conditioner. q: How often should I apply leather conditioner? Most leather care sites agree that boots should be cleaned and conditioned every three to six months, depending on conditions. Very dry or very wet conditions will shorten the time between applications. Winter in snowy climates, for instance, would lead to an cleaning and an application of conditioner at the start of winter, a few rounds of gentle salt removal over the course of the season, and then another conditioning treatment at the start of spring. Some brands, such as Leather Honey, give a six month minimum between applications, though that window might also be shortened by what sort of weather the boots are exposed to. q: How long should I leave the leather conditioner on? The length of application time varies from product to product. Some, like Leather Honey, have a suggested application time of several hours that can stretch to leaving the product on overnight to soak into the leather. Others have an application time of fifteen to twenty minutes before it needs to be wiped away. These time frames depend on how deep the conditioner is intended to penetrate, the ingredients used to create the conditioner, and any additional effects the conditioner may have. Always be sure to read the included instructions prior to application and to test the process on a discreet section of the leather before applying the product and process to the entire item. q: Is leather conditioner safe to use with my bare hands? Some leather conditioner is safe to apply with your bare hands. It may cause slight discoloration or an unusual scent due to the ingredients in the conditioner. Many who have reviewed the products on our list actually recommend applying them by hand, as using their fingers allows them to work the conditioner in more effectively. If there is an allergen concern or the conditioner does not say non-toxic, however, it is strongly recommended that the manufacturer is contacted prior to applying any product with your hands. q: Should I clean my boots before applying conditioner? Boots should always be cleaned prior to applying the leather conditioner. Any large portions of debris or caked on mess should be removed with a slightly damp cloth. Leather soap should then be used unless the conditioner in question also says that it cleans leather as it conditions. Only once the boots are clean and thoroughly dry should leather conditioner be applied. q: Will conditioner waterproof my boots? As a general rule, leather conditioner will not waterproof the leather it is applied to. Some of the products listed above, like Huberd’s Shoe Grease, are designed to offer waterproofing. This, however, is not the usual effect of using leather conditioner. Most of the products on this list guarantee all natural ingredients in products. Some, however, do not so be careful if an all natural product is desired. Similarly, allergic reactions can occur even with all natural products. If there is a specific ingredient or type of ingredient you are seeking to avoid, it is suggested that you contact the manufacturer directly. Many of the companies listed above have excellent customer service and are happy to answer any questions their customers may have. q: Will the conditioner change the color of my leather? Nearly every leather conditioner will temporarily darken the leather they are applied to. Some conditioners have effects that last longer than other, but this is a natural side effect of returning moisture to a treated hide. Color usually returns to normal once the leather has dried completely, though this is not always an indication that a new application of leather conditioner is needed.